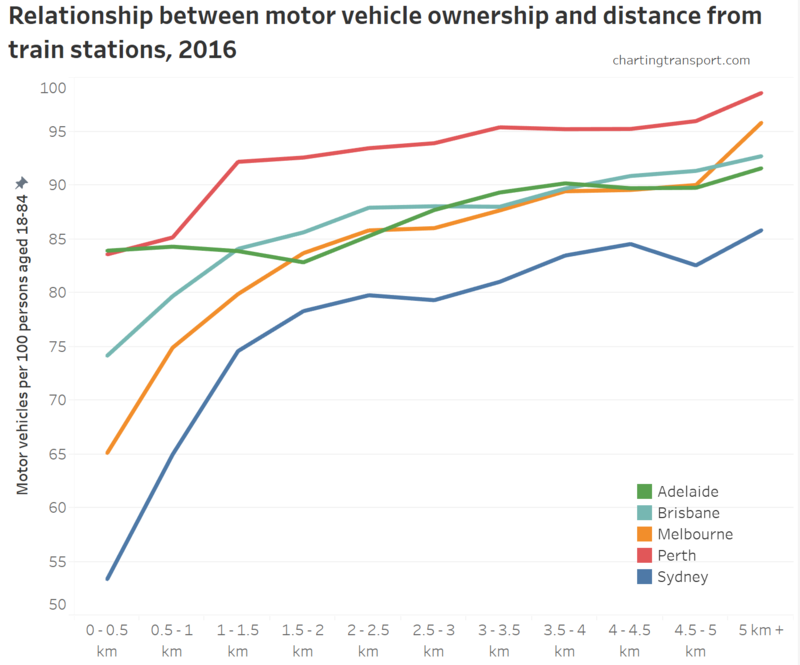 This entry was posted on Sunday, March 31st, 2019 at 12:28 pm and is filed under Australian Cities, Brisbane, Car ownership, Melbourne, Mode share, Sydney, Urban Planning. You can follow any responses to this entry through the RSS 2.0 feed. You can leave a response, or trackback from your own site. 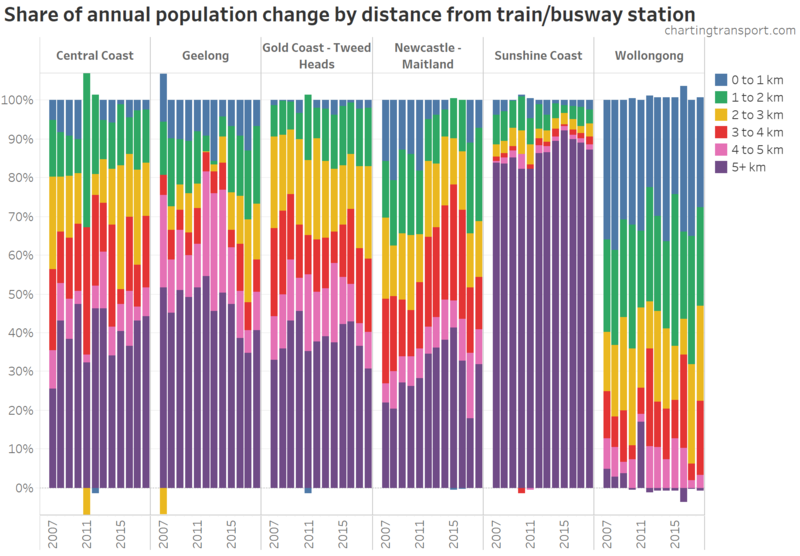 4 Responses to Are Australian cities growing around their rapid transit networks? Another well done article. 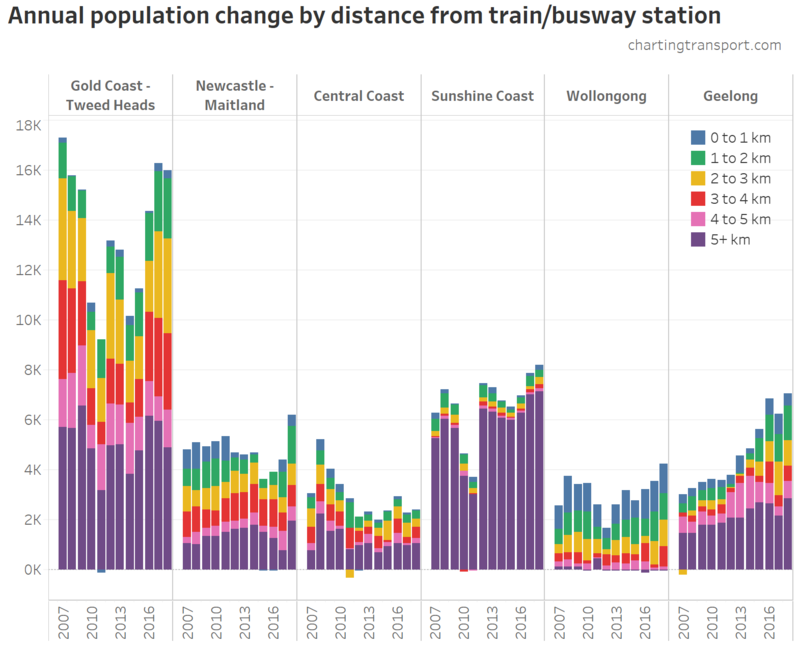 Would it be possible for more than the first two graphs to be enlargeable and the Square km grid to be available in Tableau, please? Thanks Tom. I’ve fixed it so all images are enlargeable (sorry new WordPress editor has that off by default). Unfortunately it would take a lot of work to make the square km grid present well with any degree of interactivity in Tableau (it’s actually loaded as point data drawn with square markers – the size of which I have to manually adjust with every change of zoom so that it looks decent). Thank you. The details are much easier to see now. Would it be possible to see the images used for the square km .gif in a static format, as I find it difficult to properly focus on changes for station openings with the image cycling (particularly with so many years shown)? Thank you for another very informative article, as I’ve come to expect over many years. Interesting conclusion re Perth, which contrasts with the PR/hype one mostly hears from and about that masssively-sprawled city. 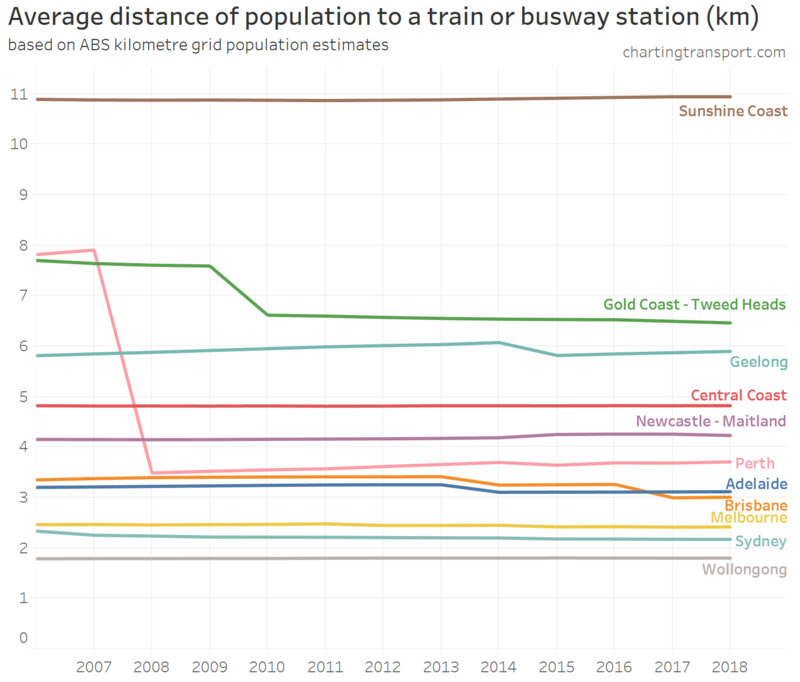 FYI I live in Adelaide, which is probably more sprawled/less dense than even elongated Perth, but mostly necessitated by geographical and topographucal constraints and only in a lesser way to sensible urban planning decisions. 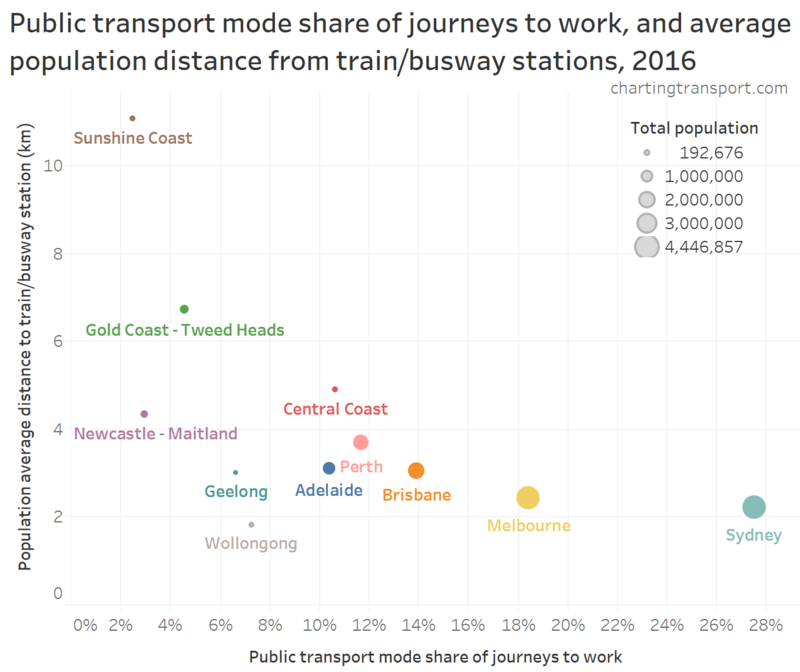 I agree that light rail in Australia isn’t “rapid transit”, albeit it’s faster than average peak-period speeds by private cars. 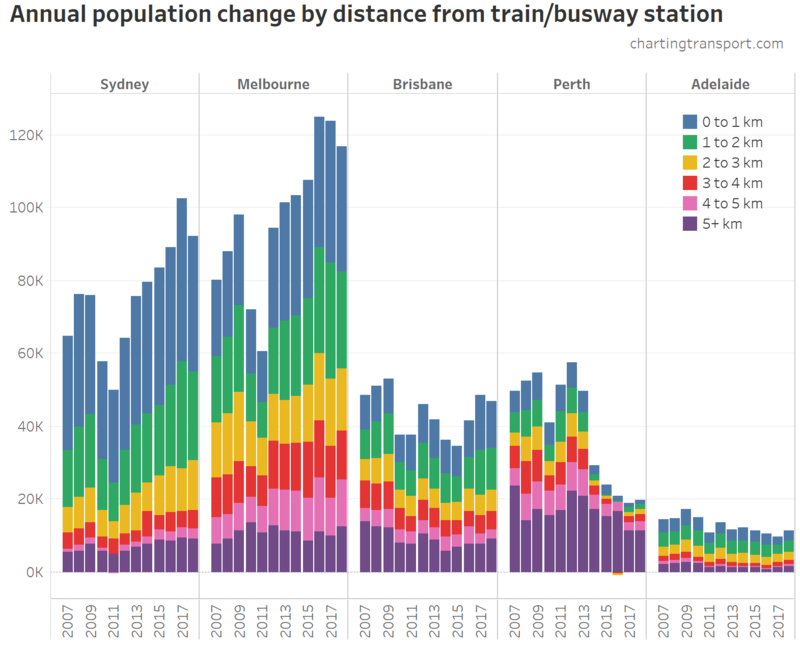 And none are “mass rapid transit”, particularly not Melbourne’s over-hyped and underperforming tram network that the ultimate version of the ALP SA Government tried to sell to the public as such, when they were really just using the promises of new tram lines as a high-density property development enabler. PS there’s a typo in the last par (expect/except).